Cozy Chicks: Raw Milk War: Who Do You Think Will Win? Raw Milk War: Who Do You Think Will Win? Take a look at this picture of my mom milking the family cow. It’s one of my favorite photos of her. Can you see what she’s doing? She’s giving the cat a drink before taking the rest into the house. The milk didn’t have any added hormones, antibiotics, or pesticides in it. It wasn’t pasteurized or homogenized, either. It was as God, or nature, made it, what all farmers and their families drank, and was extremely healthy. Raw (unpasteurized) milk contains enzymes and bacteria that have been shown to strengthen the immune system, promote healthy bacteria in the intestines and reduce the risks of everything from respiratory disease to obesity. Pasteurization, however, destroys both good and bad bacteria, so you’re basically drinking dead food with bovine hormones and other toxins in it. Imagine if the FDA suddenly announced that breast milk had to be pasteurized and homogenized before a baby could drin k it. Isn’t that ridiculous? Yet that’s exactly what the FDA is doing those of us who wish to buy fresh, living milk from dairy farmers who don’t contaminate or kill their milk. Here’s the irony. Millions of Americans get sick every year from eating contaminated foods. (Think spinach). According to FDA statistics, at least 325,000 will be hospitalized and 5,000 will die. Yet, over a 13 year period, only about 116 illnesses a year were linked to raw milk. Percentage wise, it doesn't even rate. No government regulations of interstate commerce in peanuts, kale, or cantaloupes have been suggested, despite the much greater number of people sickened by consuming these foods. Sushi, a raw food that provides a greater opportunity for illness than raw milk, is legal in all 50 states, too." So what’s up with the FDA? Well, guess. If people demanded raw milk, Big Dairy would have to change the way they run their dairy factories. Cows would have to be treated humanely, and it would cut profits. And guess who the Food and Drug Administration, who is supposed to protect the citizens of this country, sides with? Not the little dairy farmer. Not those of us who don’t want dead milk. Scary, but with their unfettered power, the FDA could ban organic vegetables next. Do you think the FDA will win or is there a chance the power of the people will prevail? Would you drink raw milk if you trusted the farmer who sold it? You know, I'm not sure if I would choose to drink raw milk, but right now, I can't even remember why they started pasteurizing it in the first place. I do think, however, that everyone should be able to choose their version - if I can eat raw fish (ugh) then I should also be able to choose raw milk. I did always wonder why people used to give cats cream or milk to drink. Every cat that I've had, has suffered diarrhea when drinkin milk, but maybe it's to do with all the dead cells and hormones in the milk. maybe cats used to be able to drink milk with no problems. It was an interesting and informative article. It made me think, just like this blog piece. I would choose raw milk. I choose raw veggies. This past weekend my son had his first football game of the season and there were so many kids that are abnormally tall, big, just BIG. It's due to all the hormones in milk, beef, fowl etc. It's a big eye opener that we need to get back to the basics. There is a dairy farm near here that also has a petting zoo, ice cream stand, etc. It's been a favorite place to go for decades. They made their ice cream with raw milk and it was wonderful. Then someone got sick - or thought they got sick - and blamed the ice cream. Bam! The regulators swept in and now all the dairy products, including the ice cream, have to be pasturized. Seems they should have been able to post a sign saying made with raw milk. Sometimes there's not enough regulations (over time laws, etc) and sometimes there's way too much. Being a 'farmer' of sorts, I think raw milk, fresh veggies and fruit are the best! The hormones and chemicals used in feed and treating animals and plants for 'optimum growth and production' are poisoning the population. NOT the food itself! OK, now I will get off my soapbox and go fry some fresh, range raised chicken eggs for breakfast. There is nothing better than ice cold fresh raw milk. I have cousins that have a dairy farm (no longer working) and one reason I loved going to visit was the milk. The taste is so much better even with the extra cream gone, it is just so good. 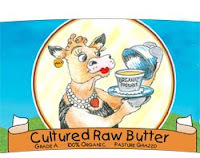 If I could buy raw milk I would as long as I knew about the farm where it came from. Your comments are so encouraging! I agree that we need to get back to the basics. Processed food is dead food. Tiger, thanks for the link. It looks interesting! Linda, what a shame about that dairy farm. A disclaimer sign should be enough. Mardel, I've had the same experience with cats, so I'm thinking you may be onto something. Maybe cats react badly to the additions to milk, not milk itself. It seems like we've let Big Businesses take over our lives, deciding what we will eat, what will be put into our food, etc., and the FDA supports them. We should have the right to choose what we put into our bodies, shouldn't we? 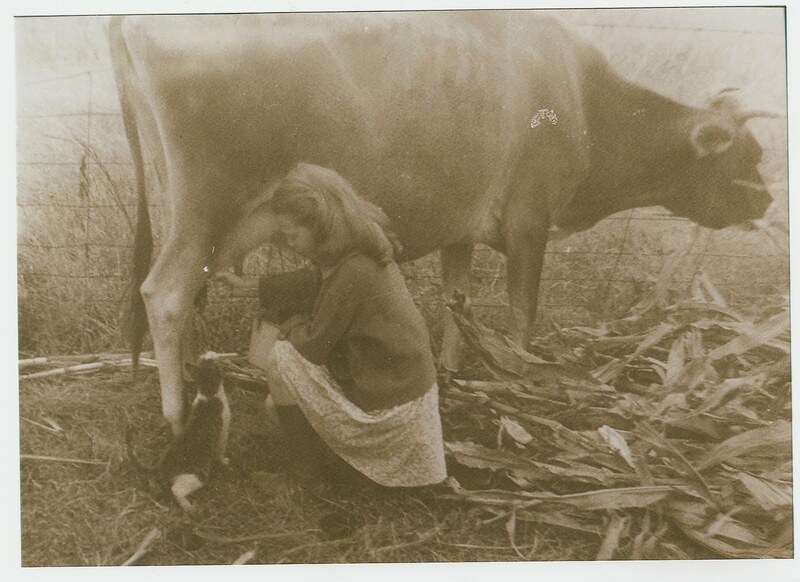 When we lived in the country we bought raw milk from a local couple who had a few pampered cows. I made butter from the cream that I skimmed off the top and we also made ice cream from it. It was wonderful. I don't think the majority of people will ever wake up to what the FDA is doing to us. The FDA is politically driven but sadly, I think most people really believe they are our health advocates. Sandra, I'm with you 100%. As long as the lobbiests working for the giant dairies/agriculture firms are in Washington, the FDA will be always be in their camp before that of the general population. Added to that the FDA has been stripped of its funding and there are so few food and drug inspectors, its a wonder anything we in our bodies is safe. In NE PA we've lost nearly all of our dairy farms because the farmers couldn't make a living. I don't know the whole story but I know they blamed Wis. cheese maker lobbyists for gov't. controls on dairy prices. Every year the cost of producing milk increases but the price farmers get for it either stays the same or decreases. That isn't fair either. I love that picture!! Mom the farmgirl. And I definitely value my ability to get raw and organic products from a local co-op. I fear, though, that Sandra is correct and that the general public will cheer as more and more of our options are taken away. "For our own good." And if it wasn't for the internet, would we even know these things were going on? At least here we still have freedom of the press. Wonder how long that will last? And thankfully, the milk comes from grass-fed cows, which just adds to the health benefit. You often have posts that really make me think and reconsider things. Thank you! I am starting on a journey of eating more raw foods, less processed stuff, etc. I'll look into the milk now too. Thank you for the link for organic pastures. I look forward to learning more about it. Linda, thank you for the compliment! I started my journey a few years back when I got very ill. Since then, I've really learned so much, and wish I'd known it when my kids were little. Pinkcypress, you're very lucky -- and wise. We have to search for grass fed beef in my area. I've recently heard about a buffalo farm in the county. I'm pretty sure they're grass fed, right? Such a controversial topic. Is milk hurting or helping your bones? My aunt and her husband were dairy farmers in Wisconsin. I grew up drinking raw milk when visiting them. Honestly, I was more put off by the taste then anything else. I thought I was drinking cream. (At home, my mom bought lowfat milk.) Then, when I learned of my milk allergy I was tossed into a world of weird milk substitutes. I now have better choices. I like soy, but usually drink almond milk. My husband and I used to buy raw goat milk from a friend when we worked with him. I love goat milk! Would I drink raw milk? Yes. Kate, I thought here in Indiana you could "buy stock" in a cow (or a few) in order to get raw milk. I could be very wrong but it's coming to mind as I think about raw milk. I don't know of any local sources of raw milk, but I do buy low-temp pasteurized, non-homogenized, grass-fed milk at Whole Foods. It's the closest I've been able to find. I buy my eggs from an old man who keeps chickens, so that I can decide not only whether I want fried or scrambled, but also whether I want pink, green, blue, ivory, or brown! And oh, it does make a difference. Those upstanding orange yolks and firm whites have so much more flavor, not to mention nutrition. Thanks for the link, Kate. We cannot be silent or apathetic about this. I do not think that raw milk is dangerous to drink but I do think that the FDA will win. Kate, thank you so much for posting this information. I personally hated milk as a kid (we had a cow my brothers milked), and I didn't like it until Mom started buying pasturized milk. That doesn't mean I believe that milk has to be pasturized or homoginized--I'm all for raw milk (though I won't drink it!). We get our meat from a local farmer who keeps us informed of what is happening in the raw milk war, and I wish all young mothers could understand what is happening to our food supply. Dawn, I didn't know about buying a share in a cow. That's a great idea. Do you know where such a farm is in Indiana? Helen, I hope you're wrong, but I fear you're right. The more we talk up this and other subjects that bear directly on our freedom of choice, the better chance we have of protecting it. We can't let the Big Guys always have their way. BTW, Dr. Josh, my mom left the farm at age 12 and had store milk after that. When she died, she had terrible osteoporosis, yet she drank 3 big glasses of whole milk daily. So much for the milk myth. The Japanese have incredibly strong bones, but they shun dairy. Go figure. As a dairy farmer in CA, I have to disagree with some of your statements. If raw milk purchased from a dairy farm became legal, "Big Dairy" would not have to change the way it does business....98% of dairy farms in America are family farms. All the dairy farms I know, and I know many across the U.S., treat their cows with respect and are highly cared for. We are a family farm in CA. We do drink our raw milk from our dairy, but I would not purchase raw milk if we didn't own a dairy, I would purchase pasteurized milk.....I think it's much more safe with children under 2 years of age, it's just not worth the risk in my opinion. As far as antibiotics go, NO milk contains antibiotics. It is illegal for milk to contain antibiotics. EVERY single truck load of milk is tested for antibiotics. If a truck is found with tainted milk, it is then traced back to the farmer and he will then pay for the entire truck load of tainted milk. Believe me, NO dairy farmer ever wants this to happen. There is so much mis-information floating around out there with regards to dairy products and dairies themselves. There are a few, select dairies that have been featured in the media that have given dairies a bad name. But with any industry, there are some bad, and with dairies, most treat their cows very well. I know many of you will believe that most dairies are run how the media portrays them, but it's just not true. And thank you to Wife of dairyman for sharing that important viewpoint. What's important is that we have the freedom to choose which milk we want, and farmers must have that same freedom. Many will not want raw milk, but those who do should be able to buy it. Farmers who don't pasteurize shouldn't fear that regulators will shut them down simply because of that. There are so many unsanitary meat packing plants, etc., for them to go after, that I think they need to leave family owned farms alone. We do have a big dairy farm factory not far away. They do exist. It's a pleasure to hear that most dairy farms are like yours. Kate, that picture of your mom is precious to see! From a child's perspective, she was just a really really nice mom. May God bless your efforts to encourage all of us to seek the best health and choices for food. Now, a little childhood trivia...remember some of our snacks? LOL! Grew up on a dairy farm and I remember going out and dipping milk out of the tank and pouring it through a funnel into a bottle. We never got sick from it, either. My grandma used to go off on a rant about all the additives in food. She baked with lard, kept a cup of leftover bacon grease in the cupboard (unrefrigerated), ate butter and whole milk and lived to 101. Of course, she also had a huge garden so we had lots of fresh veggies and she canned/froze fruit and veggies for later...we also raised our own beef. And I'm guessing Linda Leszczuk lives near Young's Dairy in OH...that was a shame what happened to them! If the FDA were to "win" I would buy a cow. However, I don't think there will be winners in this war. As long as the FDA and the dairy industry keep publishing that raw milk is dangerous, they will continue to hurt the sale of all kinds of milk. Per capita consumption has already been on the decline in the U.S. for a decade or more. Think about it; would you want to consume a "dangerous" food even if it was cooked? Most people don't trust the FDA not to be influenced by money. When you think of all the dubious products that they okay for consumption like aspartame, saccharin, etc. are you going to put your confidence in them? I would never drink raw milk,but don't really care if others do so. Because I have an auto-immune disease,rheumatoid arthritis,any thing that could comprommise it is out for me. I know I drank raw milk as a kid as my paternal grandfather had a small dairy. I'd help milk the cows and we'd have milk right from the teat in a cup, then have it in bottles in the fridge later on. Now we get our milk from an organic dairy, I'll have to look up on the pasteurization. I'd likely drink raw milk again if I trusted the dairy. I do hope the people win. I don't drink milk but I use it in other things.